The official premiere is not until later this month, but the BBC has released a teaser trailer for its upcoming virtual reality experience set in the Doctor Who universe. You can watch it right here. The animated VR adventure, titled The Runaway, is just 13 minutes long. It is set to premiere in New York on April 26 as part of the Tribeca Film Festival. The first screening will be shown alongside 21 other VR and AR experiences as part of the festival's Virtual Arcade. The organizers invite Doctor Who fans to "step inside the TARDIS with the Doctor in this beautiful, animated, interactive story from the Doctor Who team". 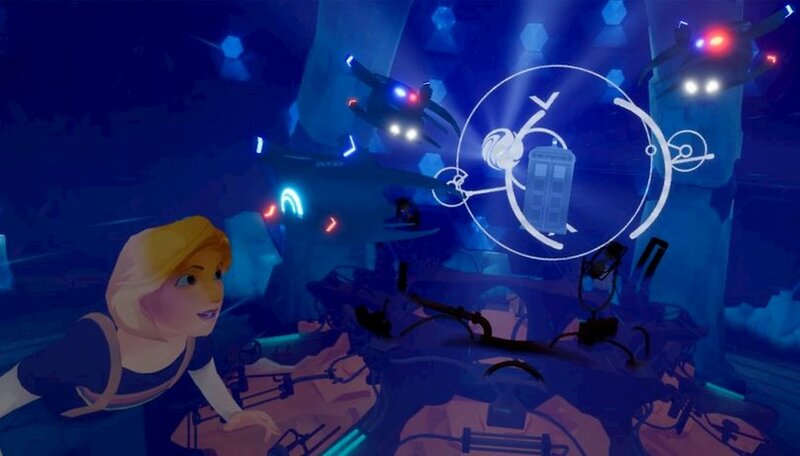 The star of the VR experience is an animated version of Jodie Whittaker, the 13th Doctor. Little else is known about the plot, apart from the fact that it will take viewers on a "journey through time and space". We do know that you'll wake inside the TARDIS (virtually, of course) after "colliding with a strange and magnificent ball of living energy called Volta". "Part surly teenager, part bomb, Volta is very unstable. In fact, he’s primed to explode. Big time. Unless he can be returned to his home planet, sharpish. The problem is, a squad of galactic busybodies has other plans for Volta. Bad ones. Drawn into a frantic chase, you become The Doctor’s unlikely assistant as she races against time to get Volta home to his parents. Armed with a sonic screwdriver, it is down to you to help The Doctor as she faces the forces of evil, and teenage angst," reads the official synopsis for the VR experience. Doctor Who, The Runaway, will be available on selected VR headsets in the coming months. Oculus Rift & HTC Vive, (with a 360 version for Oculus Go) Gear VR and YouTube are all supported. The UK public broadcaster confirmed that The Runaway has been put together by the team behind Doctor Who Series 11. It has been produced by the BBC’s digital drama team, BBC VR Hub and Passion Animation Studio. The VR experience features original music from series composer Segun Akinola and has been written by Victoria Asare-Archer. It was directed by Mathias Chelebourg. Are you excited about watching some Doctor Who in VR?